Steve Gardner is an Electronics and Firmware Engineer in the UK. He works at an engineering design consultancy where he primarily designs electronics subsystems for medical applications. His focus is on analog and power electronics although most design work involves the use of microcontrollers, processors or FPGAs which he is proficient with. Steve started electronics as a hobby as early as he can remember and has always had a fascination with learning how electronic devices work. 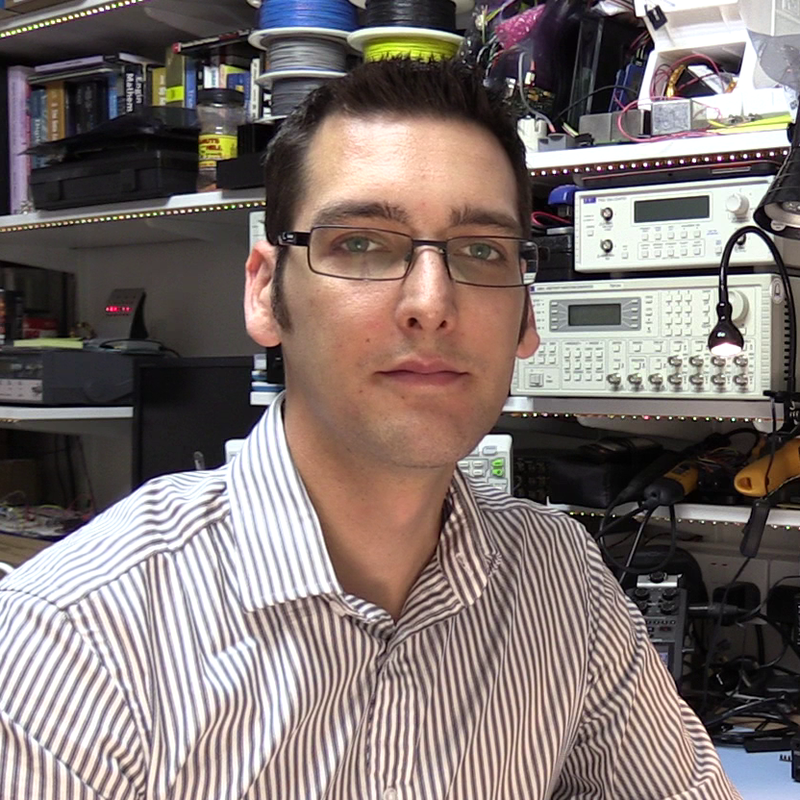 He has had a full time electronics job for the past 12 years designing a multitude of electronics devices from pregnancy testers to precision surgical cutting tools. I am looking for list of items used in 6 digit LED clock. Also I want the document you used for creating this clock. Please do this favor for me. I am software developer.I love physics and want to build a clock that execute my own written code. Would you please sent those documents and list of items used in video for making clock. Hi Sonu, I’ll upload the bill of materials when I get chance. Thanks. regarding you Raid 10 in the server setup.